Kanesha Baggett joined Renaissance West Community Initiative on January 2, 2018 as a Life Navigator. She is a Virginia Beach native and has been a resident of Charlotte since August 2016. Kanesha is a graduate of Bayside High School out of Virginia Beach, VA, and holds a Bachelor of Science degree in Criminal Justice and Sociology from Longwood University in Virginia, and a Master of Social Work degree with a concentration in Juvenile Justice from North Carolina Central University. Additionally, Kanesha possesses her provisional license as a Clinical Social Worker. 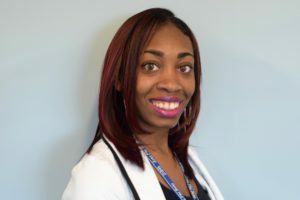 Prior to joining the RWCI team, Kanesha held the position of Permanency Planning Social Worker with Mecklenburg County Department of Social Services Youth and Family Services specifically working with youth and families in the foster care system. 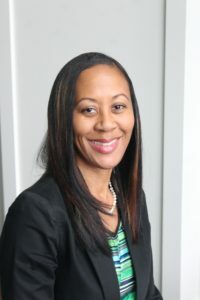 Kanesha holds years of experience in working with and advocating for children and families, who have been directly affected by and involved in the child welfare and juvenile justice system due to substance abuse, domestic violence, and generational trauma. She continues to maintain a passion for assisting families in reaching their fullest potential of positively and successfully functioning, and in encouraging the youth to reach their short and long term-goals. In her spare time, Kanesha enjoys spending time with her family and friends, going to the gym, and binge watching shows on Netflix. Additionally, she enjoys engaging in community- conscious service events with her sorority members of Zeta Phi Beta Sorority Incorporated. Jeanease moved to Charlotte in 2009 to pursue employment in Workforce Development. Jeanease is from a small town in Florida called Hawthorne FL. She is a seasoned Workforce Development professional with a vast knowledge of Career guidance, case management, personal development, and assessment interpretations. Jeanease mentors female youth who have lost a parent to tragic circumstances. She is also an advocate for domestic violence especially for youth who have witnessed a parent dealing with Domestic Violence. Jeanease attended Florida A&M University and University of Phoenix with a concentration in Business Administration. She holds certificates in Learning and Development from UNCC, Certified Soft Skills Instructor, and Career Development Facilitator accreditation. She has served and assisted in development of training modules for various initiatives and pilot programs to assist Charlotte with its Workforce needs. Jeanease has a passion to see our Workforce improve to assist in the quality of life for all Charlotte residents. Jeanease enjoys assisting the community with developing their true passions and strengths. In her leisure time she enjoys watching Track and Field, Dancing, and traveling.